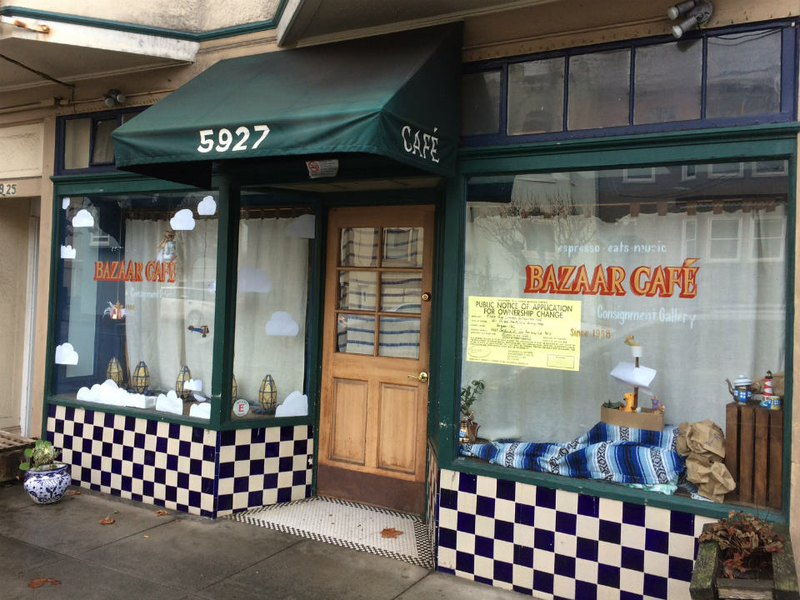 Good news is on the horizon for fans of Bazaar Cafe, the quirky, community-oriented cafe and gathering spot for Richmond denizens that closed this summer. In business for 20 years, the cafe (5927 California St., at 22nd Ave.) was sold earlier this year to new owners, husband and wife Josh Johnson and Rozanne Stoman. Johnson, the cafe's Thursday open-mic host for the last seven years, previously lived just a few blocks away. While the couple are still going through the city permitting process to get Bazaar's doors officially open, they're kicking things off this Saturday by hosting a holiday crafts fair with goods from local makers. It'll run from 11-5 p.m.
Johnson said his plan for the cafe's next chapter is to help it evolve along familiar lines, continuing its traditions of live music, a community focus and a low-key funky vibe. But he and Stoman also hope to improve the cafe experience by "being a little bit more of coffee nerds, process nerds about all the little things that make a cafe a cafe." Coming from a music background, he said he's learning fast about good coffee and food service, which is proving to be a "grand adventure in new flavors." While an official opening date is still in the works, Johnson said this weekend's craft market will boast coffee and pastries, "at the very least." "People can check out the changes we've made to the space," he added. 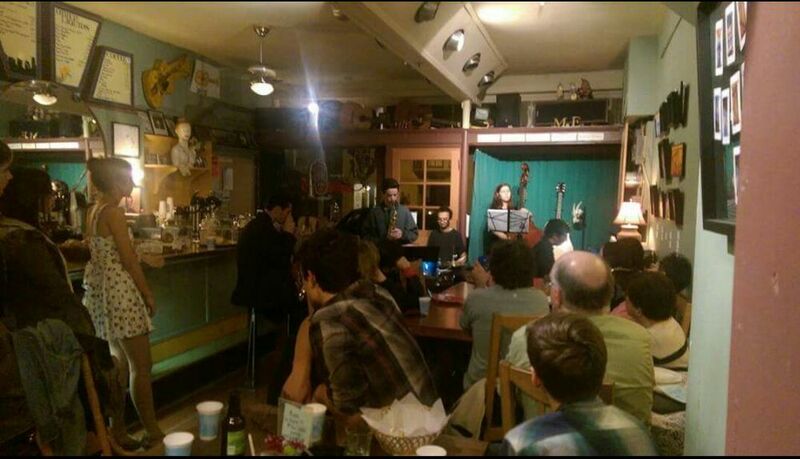 If all goes to plan, Johnson and Stoman hope to softly open for regular hours later this month, resuming the Thursday-night open-mic series. Their official grand opening should arrive in January. "My wife and I jumped in to take over, in an attempt to really just continue the traditions of the cafe itself," Johnson said. "We're trying to keep the community intact, even help foster the next generation of it."